Jess was born and raised just outside of Boston, MA. In 2012, Jess and her husband decided to leave the long cold winters behind and move to sunny Arizona with their three amazing kids. For the past twenty years,she worked as a Physical Therapist Assistant in rehab medicine and has always been passionate about real estate. Last year Jess decided to make her desire and passion in real estate a reality. In her free time she enjoys hiking, mountain biking, and being with her family. 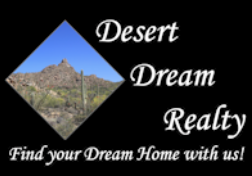 Jess is excited to be part of the Desert Dream Realty team and help her future clients find their dream home. We are dedicated, educated and experienced professionals and look forward to fulfilling your dreams one home at a time! Find your DREAM HOME with US!